After my father died, whilst living in Chicago, I was invited to see Oprah’s personal Turkish coffee grind reader. Whilst I wasn't too sure what that was, and as I was still reeling from my father’s passing, I agreed to have a clairvoyant psychic reading from the grinds of a Turkish coffee. After an hour or so of telling me very little she asked if I had any questions. I replied by asking if my father was Ok. She sat blankly for a moment, and then said “I see nothing, a void”. I responded by saying that is perhaps because he died recently. She said “Ohhh, I don’t talk to dead people, but I know someone who can.  You’ll need to use my name as she only takes personal referrals, and it will take six months to get an appointment for a psychic reading, but call her”. That lady was Rev Patty Lekawa. 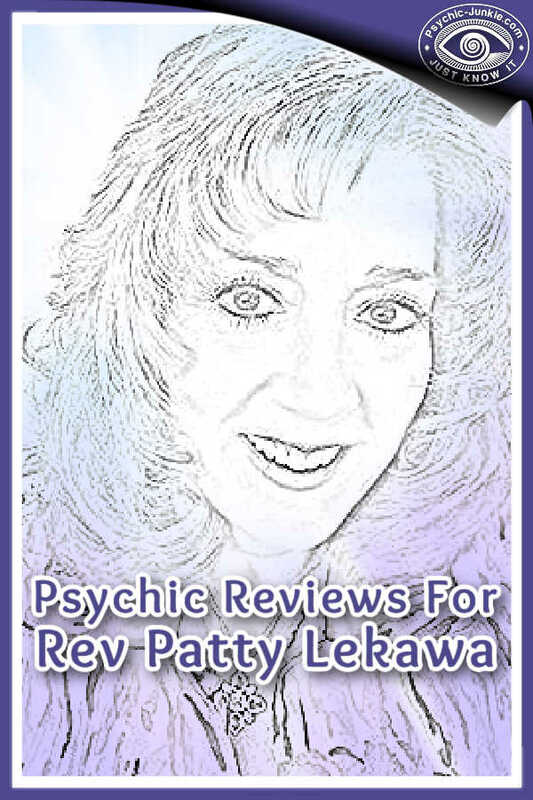 So I called, was told that I would need to wait a number of months for my clairvoyant reading with Rev Patty Lekawa. But I left my details and continued on about my life as best the grief would let me. The following day, whilst I was knee-deep in snow in Madison, Wisconsin, I received a call on my cell phone. It was Patty, saying that she had been told to “make an appointment for a clairvoyant psychic reading available to me” and that if I liked I could come the very next day! I did – Rev Patty Lekawa lives in a place called Crystal Lake, which is about 90 minutes out of Chicago. When I arrived and sat down I was feeling quite numb, but I was touched by her persona, and looked forward to a pleasant chat, if nothing else. 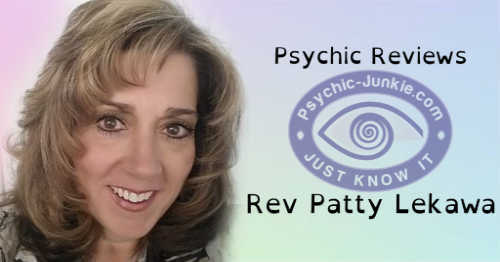 From that point on, I was overwhelmed with the details that I received in my psychic reading with Patty. I received a heartfelt apology from a very special man, an assurance that he is Ok, that all is as it should be and that I have things that need to be done. Then there was an admonishment that I am to eat breakfast instead of running out the door without it, a chuckle about how he misses beer and over and over again, his assurances of love. All this from a man who very firmly did not believe in god, would not participate in any kind of religious or spiritual practice, to the point where we had a graveside service only for him and was very clear that once we die, that’s it - the end of the road! Then Patty gave me a message from his mother, with regard to the gift that I placed in his coffin. It had belonged to her and only I knew about it, yet Patty detailed the gift perfectly as she continued with my clairvoyant psychic reading. Whilst I’d always know differently, the messages from this clairvoyant reading affected me profoundly. The accuracy of my clairvoyant psychic reading left me in awe of Patty’s gift; it was proof positive that my gut feelings about the afterlife were right all along.  So I set out to learn everything I could about clairvoyant psychic readings. I went on to learn a tremendous amount from Patty via her church and study groups. I aspired to develop my own gift to the level that she has, as she went through a similar experience after her father had died. I developed a very practical approach to all things spiritual and seek cross references regularly – for this reason I find Carolyn Myss very helpful. Carolyn has a PhD in theology – and whenever she offers a theory – it is supported by detailed research. I had the pleasure of working with her in Chicago. Another influence has been Jung – whilst in Chicago I had the opportunity to study at the Jungian institute. I really appreciated his approach; that of the clinical psychologist married to a psychic. I found his formal training and his wife’s spiritual gift had created an important blend of medical and spiritual study. I had a vision I suppose, I don't know what else to call it. I was meditating and trying to open my third eye. So, I got a picture of small beings about 3-4 ft tall standing in a circle around a elevated small round table. They were all holding hands,looking at the table. I then see a golf ball sized silvery black colored ball come dropping down from ceiling height to the middle of the round table. It gets,within a few inches of the table and slows way down...just before it touches, I come out of it and open my eyes. It happened in just a few seconds. What did I see?? Who were these small beings??? What was the ball, were was I???? I went on to practice as a psychic, a clairsentient, and a person who receives images and messages from spirit guides – both mine and yours. Whilst I can, and do, use tarot cards occasionally, it is my psychic insight that shines through them. My intuition has always been strong, and I’ve always "known" certain things. During the early 90’s in Sydney I studied with a meditation group and began to learn about chakras, energy flow and basic forms of meditation. We used "flower readings" to assist getting in touch with our guides during our clairvoyant psychic reading. After an illness in 1996 I studied Reiki which fine-tuned those skills even further. I also began to work with tarot cards and pendulums at this time. Whilst living in the USA, I studied under a master psychic who taught me about structure and discipline on how to better interpret the messages I was given in my clairvoyant psychic reading. I also spent time with various Shamans and worked with Carolyn Myss who has been a tremendous influence.